As a small business owner, it’s hard to keep track of which clients you’ve sent an invoice to, and then remember to follow-up with clients that haven’t yet paid. 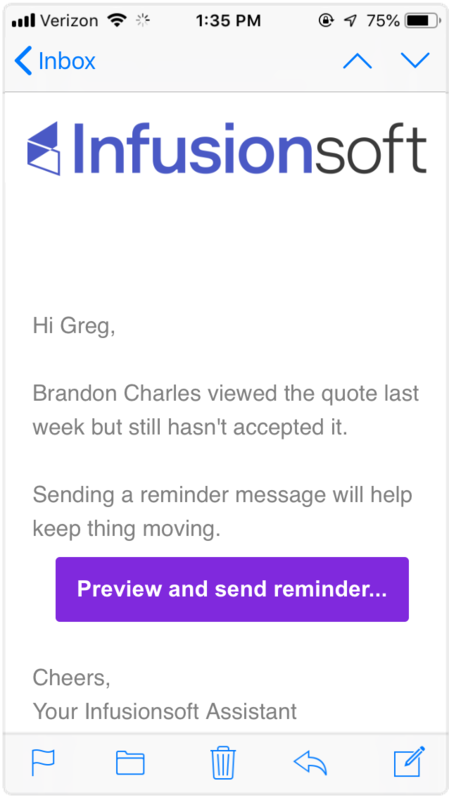 Infusionsoft now helps you follow-up, by sending you reminders and getting that email started. You send an Infusionsoft invoice to your client. Two business days after the invoice was sent, if the invoice has not been viewed or paid, an email reminder will be sent to the User who initially created the account. Click “Preview and send reminder”, which will direct you to a pre-populated email located within your account. You can modify the default text or send as is. Three business days later, if the invoice still has not been viewed or paid, then another email reminder and the option to send your customer an email will be sent to the User who initially created the account. Note: At this point, the automation is complete and no more email reminders will be sent. Q: Can I turn off these automatic reminders? A: No, these reminders are not configurable at this time. Q: Can I change the number of days before the email reminders go out? Q: Will I receive a reminder email for invoices that I created but did not send? A: No, auto-reminders only go out for invoices that have been sent, but not viewed or paid. 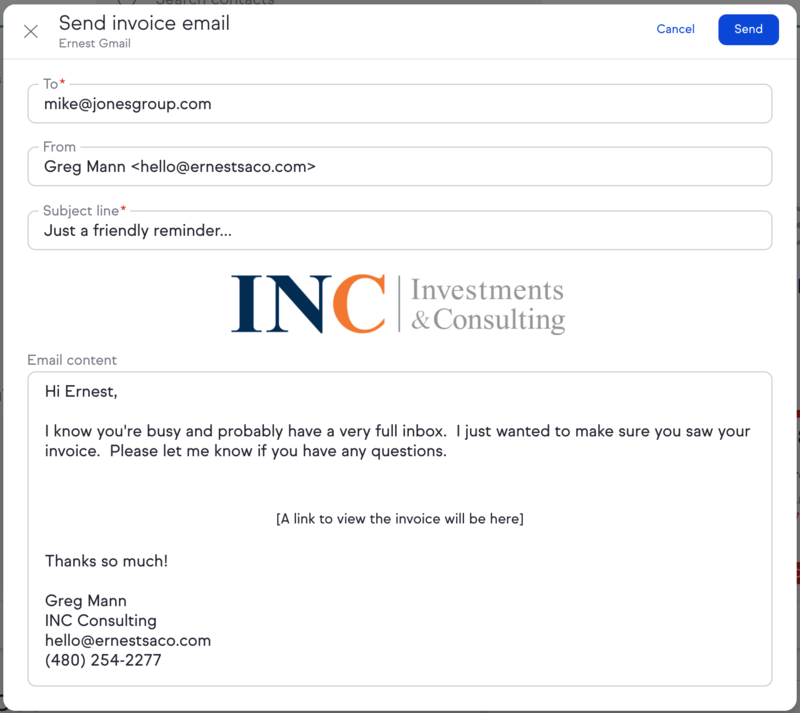 Q: If I get an email reminder about an invoice, does my client also get automatically reminded? A: Not through this automation, this is only a reminder for the Infusionsoft app owner (the first user that signed up for Infusionsoft). Q: Do I have to send the email reminder to my client? A: No, you can choose to not send the email to your client.